Tinney is a female Alexandrine Parakeet. She was rescued when reported to be flying and thrashing around in a firehouse garage in Glendale Arizona. It took two hours to finally exhaust Tinney so that she could be caught up in a towel. When we could not find her owners despite weeks of search, she became an Oasis resident. 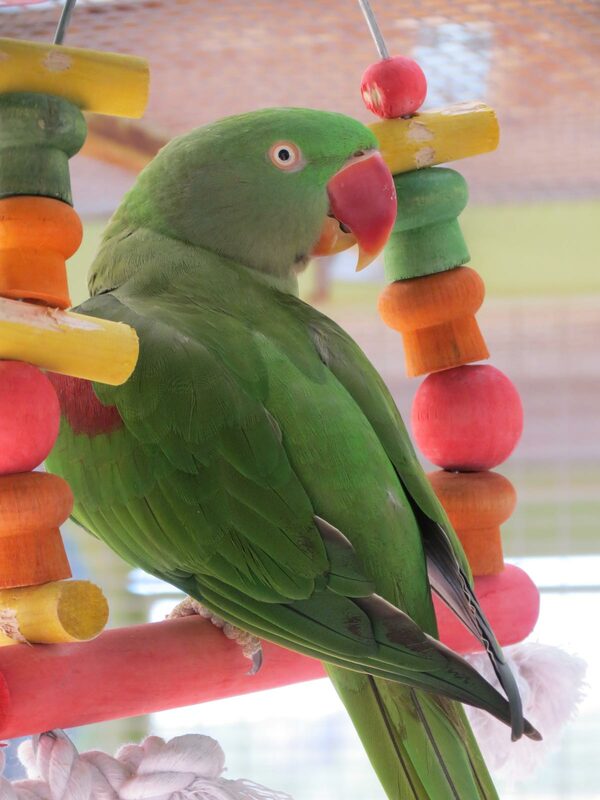 Tinney is named for Alexandrine Petronella Francina Tinné, a 19th Century explorer who traveled to Africa and Asia. Tinney and her mate Alex are offered as a pair for sponsorship.